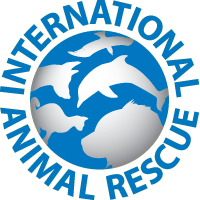 Orangutan Outreach is enormously pleased to be working with International Animal Rescue (IAR) in West Kalimantan, Indonesian Borneo. 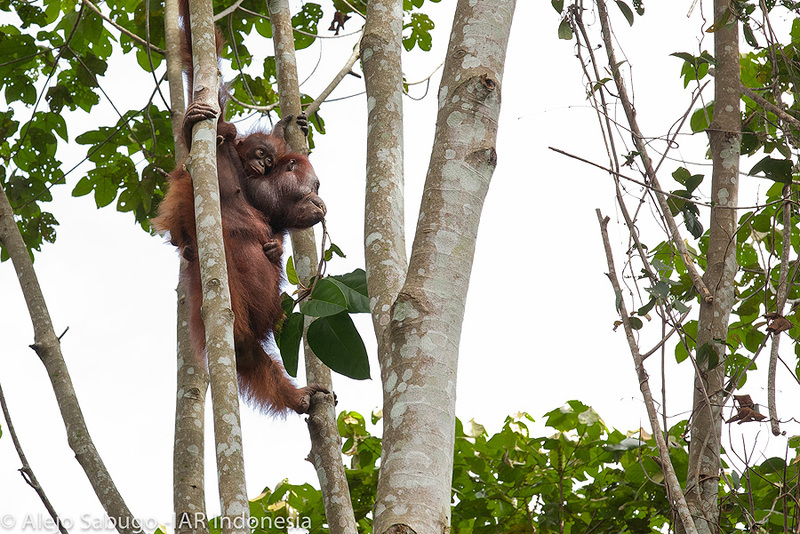 As Orangutan Outreach continues to grow as an organization we are constantly looking for ways to better help the orangutans. 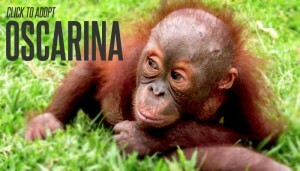 While Borneo Orangutan Survival (BOS) continues to do phenomenal work rescuing, rehabilitating and releasing orangutans at the Nyaru Menteng facility in Central Kalimantan and the Samboja facility in East Kalimantan, the orangutans in West Kalimantan have been suffering a very cruel fate. 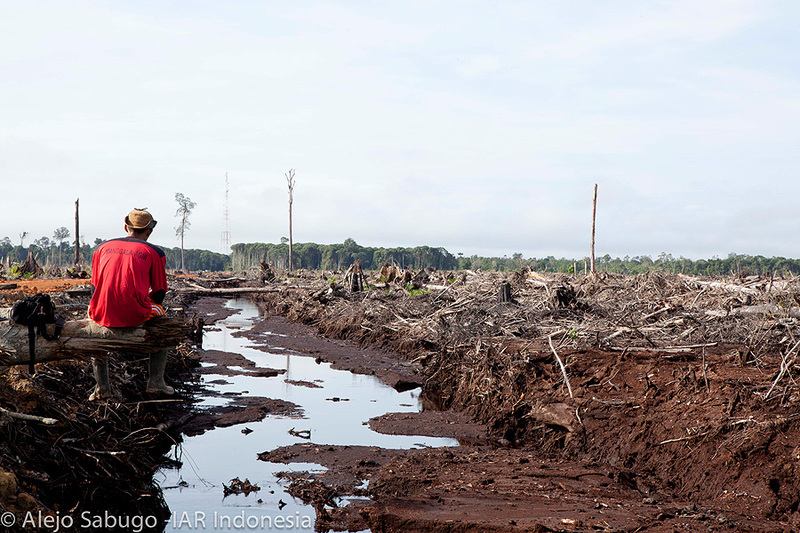 For the past decade hundreds of orangutans have been slaughtered in this badly neglected Indonesian province as their forest was destroyed by timber and oil palm companies and converted to endless square miles of oil palm plantations. 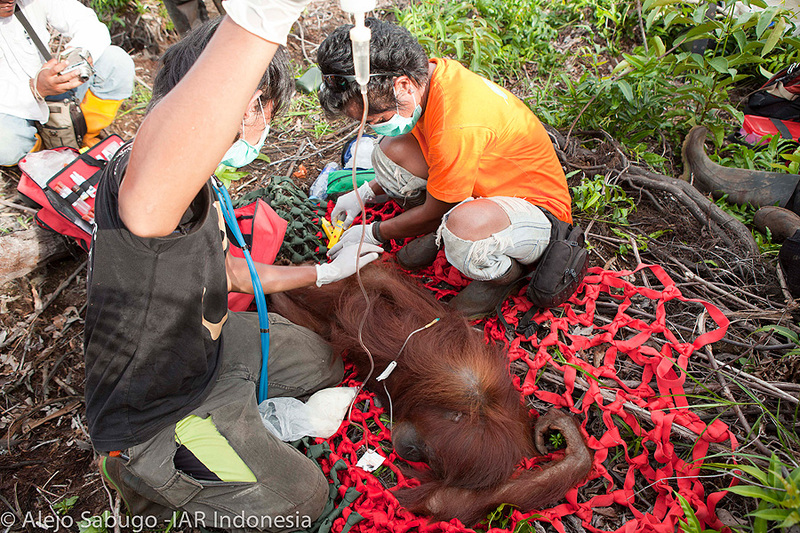 No one was there to help these orangutans in need-- until now! 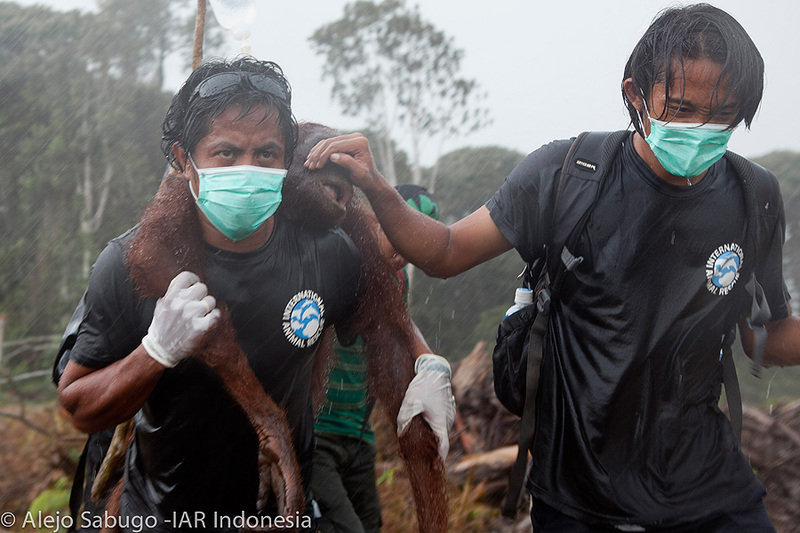 International Animal Rescue's team in Indonesia specializes in rescuing and rehabilitating orangutans, macaques and slow lorises and releasing them back into protected areas in the wild. Their track record is stellar. 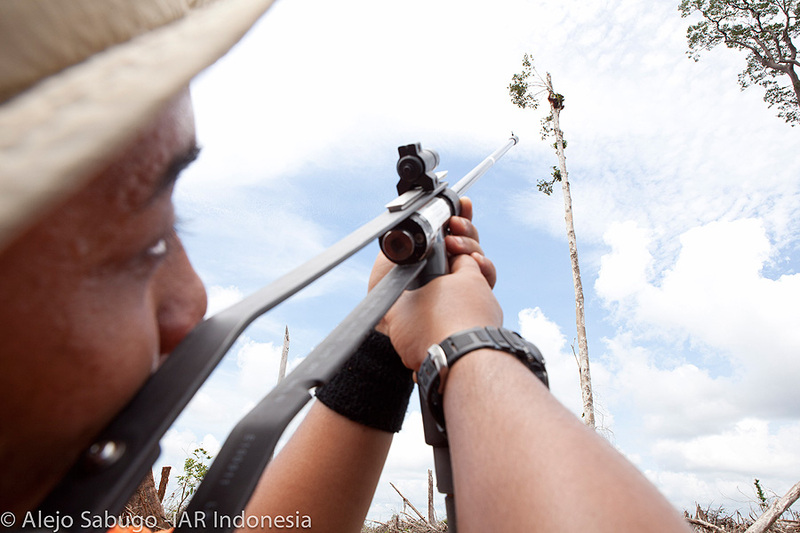 In August 2009 IAR signed a Memorandum of Understanding with the Indonesian Forestry Department in West Kalimantan, agreeing on plans for the rescue, rehabilitation and relocation of orangutans who have lost their forest habitat due to the expansion of oil palm plantations int their habitat. 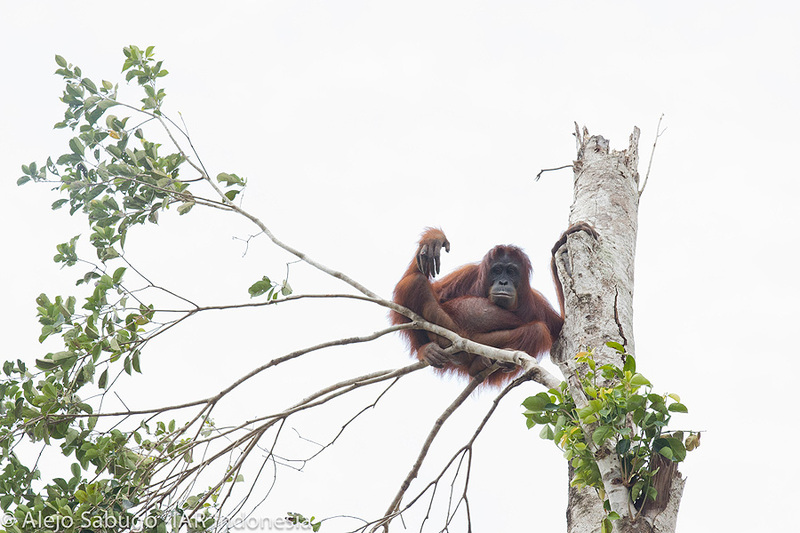 The agreement allowed for the purchase of land and the creation of facilities where the rescued orangutans could be rehabilitated before being released back into protected areas of forest. 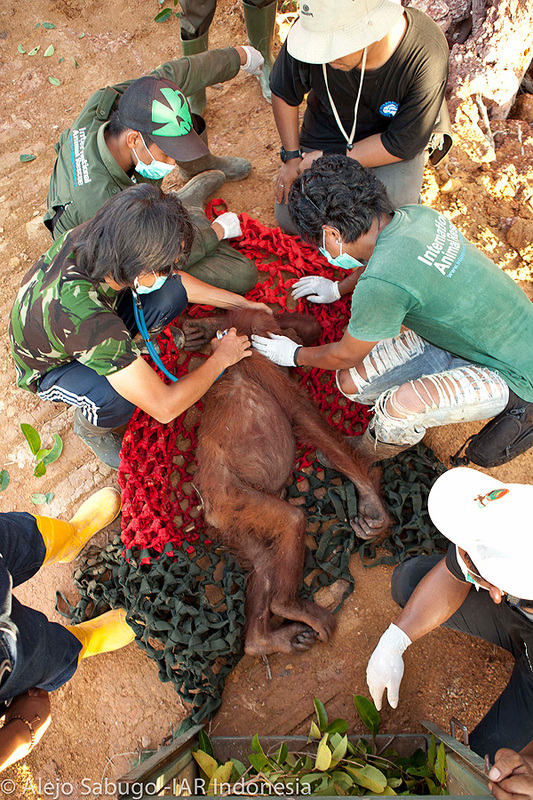 The priority was to set up a temporary facility where confiscated and rescued orangutans could be given immediate care and emergency veterinary treatment. 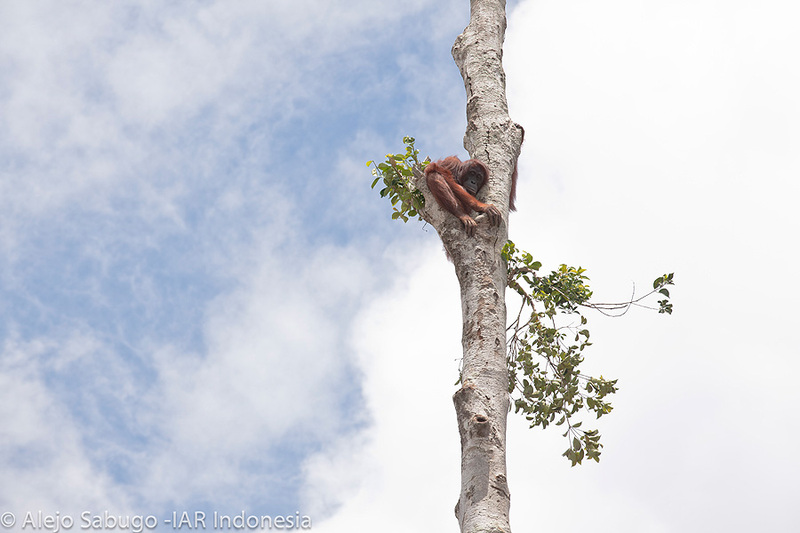 The IAR team soon began caring for nearly a dozen orangutans in a small, transit center in the small town of Ketapang, West Kalimantan. 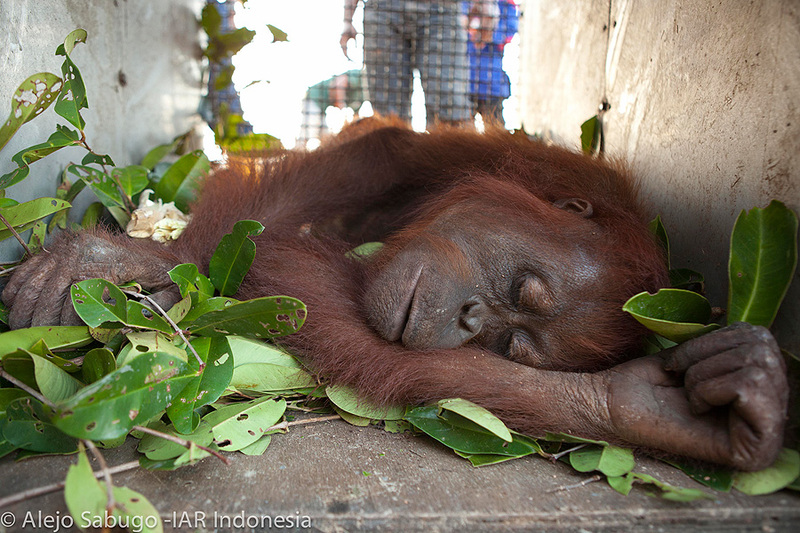 They also began working with Indonesian authorities to establish a large, long-term facility to care for more orangutans. 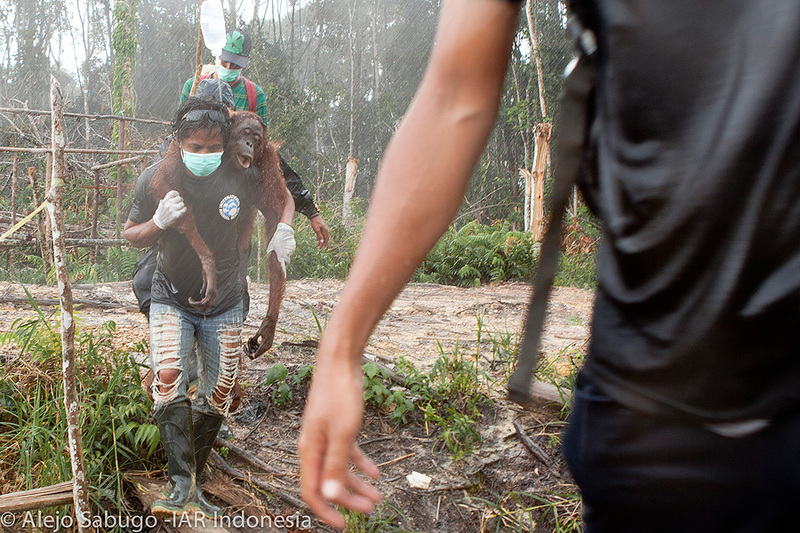 Until International Animal Rescue came onto the scene there was no adequate center for rescued orangutans in West Kalimantan. 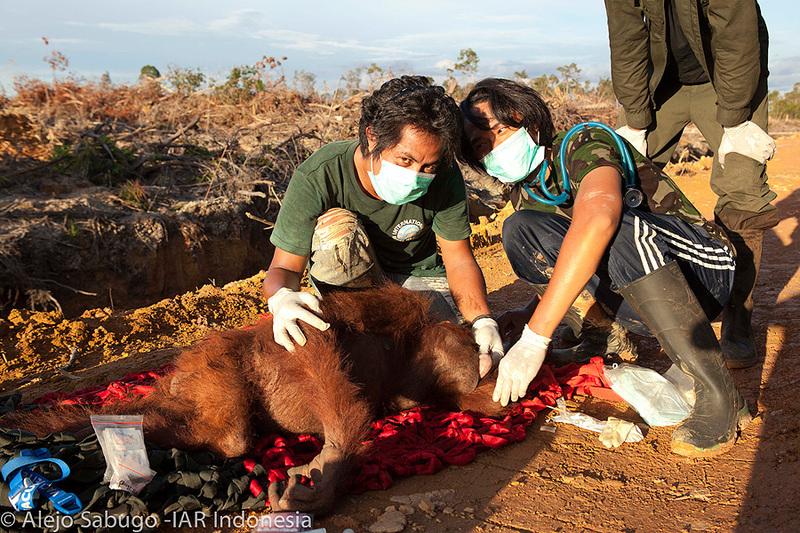 This is still the case, despite an earlier aborted effort by Orangutan Outreach to start another small center further to the north. 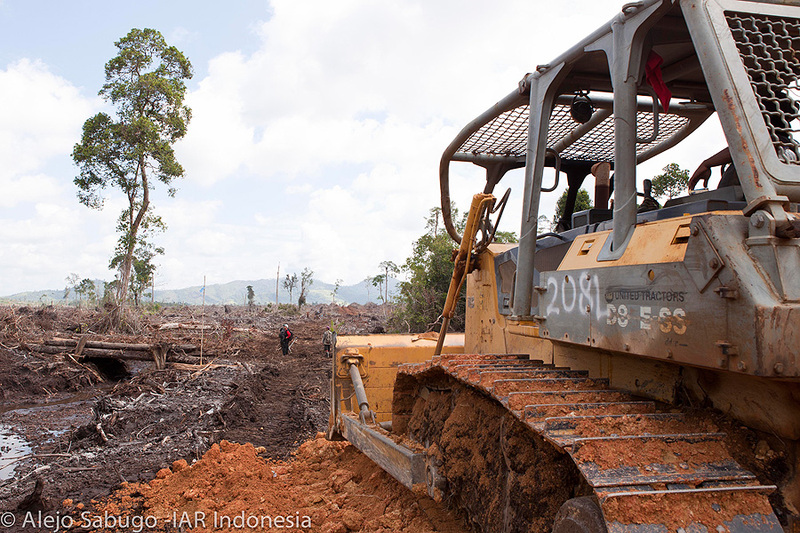 IAR started from scratch in Ketapang. 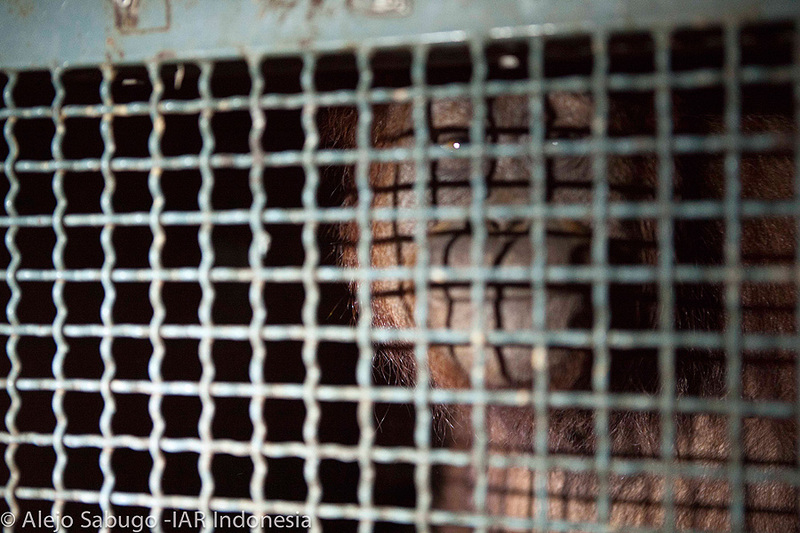 The existing center was comprised of nothing more than a collection of cramped rusty cages when the team took over. 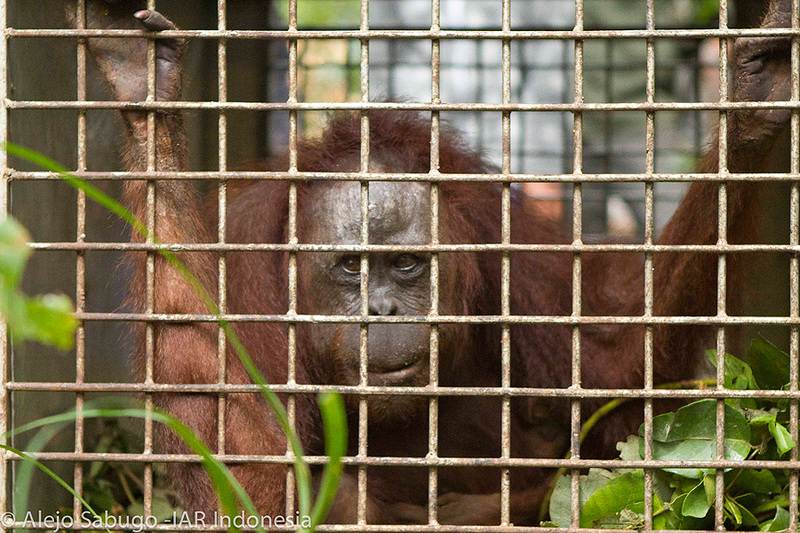 Some of the cages contained frustrated, depressed orangutans who were receiving no enrichment or other mental stimulation. This quickly changed. 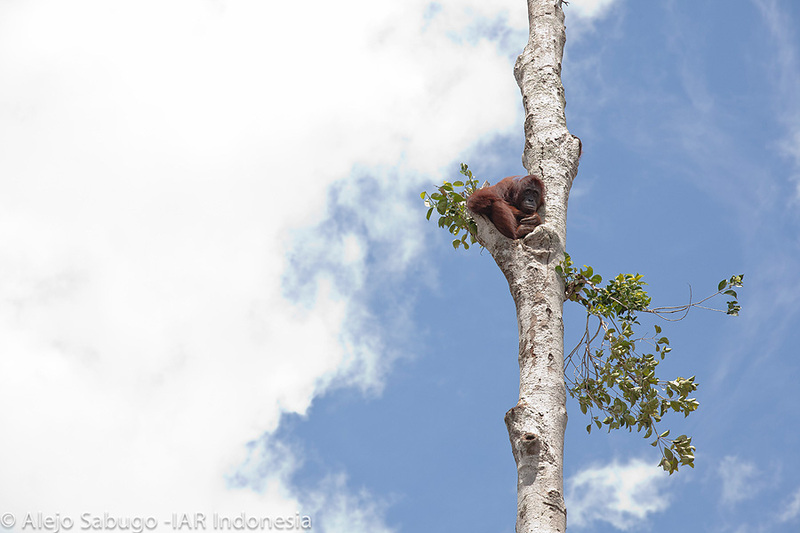 By the beginning of 2010— with support from generous Orangutan Outreach donors— IAR had done a great deal to improve the inadequate conditions at the Ketapang transit center. 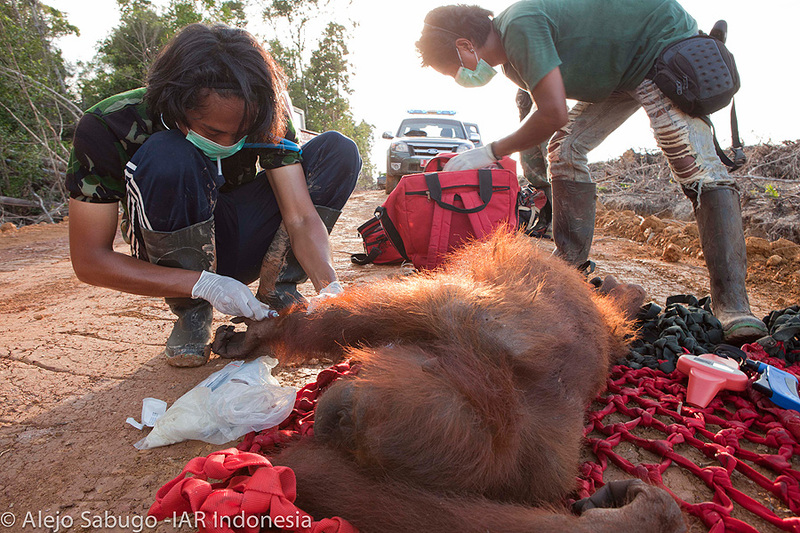 IAR Veterinary Director Karmele Llano Sanchez and her team immediately started to treat the injuries and ailments of the existing orangutans and to take in a number of new rescues. A unit of four new enclosures was quickly designed and built— taking up the entire space of the small transit center. It did not take long to fill the new cages. 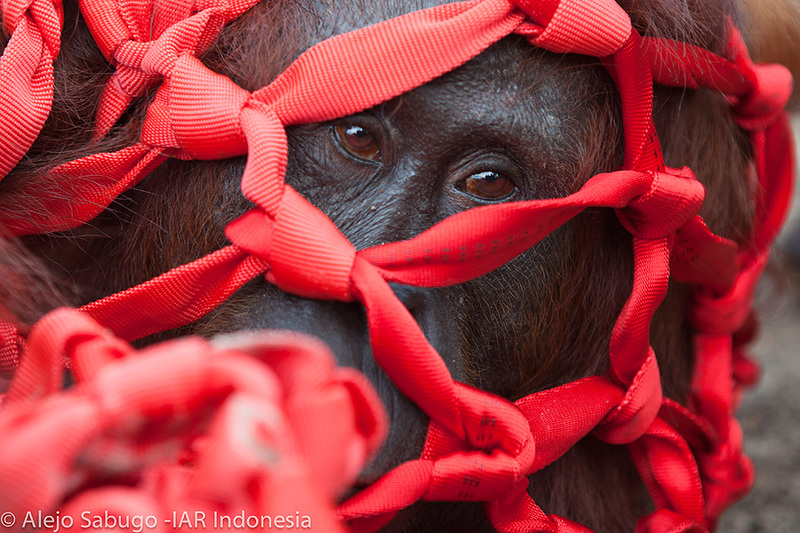 While no one likes cages, they are a necessary evil until suitable land can be found to release the orangutans— either as a temporary or permanent solution. 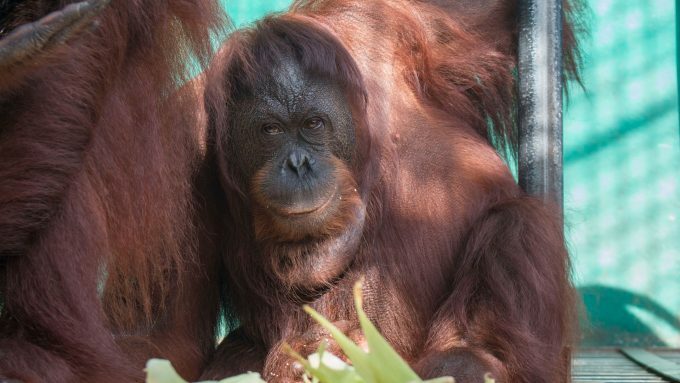 In the new cages, larger orangutans like Mona and Nicky were at least able to enjoy vertical space where they could swing in hammocks & hanging tires and play with other orangutans-- perhaps for the first time in their lives! 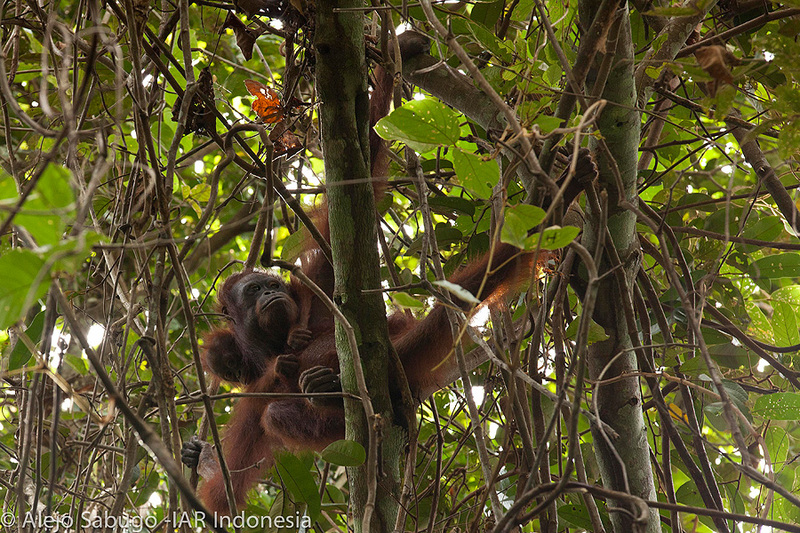 A nutritious dietary regimen with plenty of varied fruits and nuts was immediately implemented and the orangutans' health soon improved. 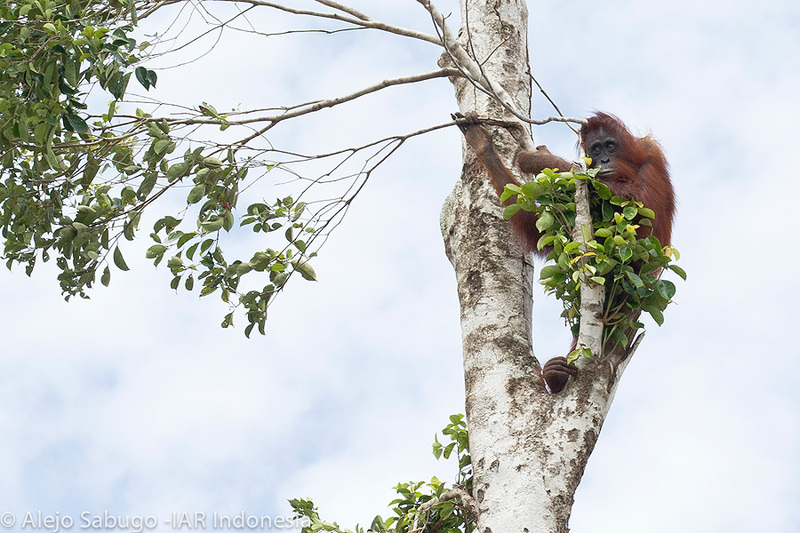 The team also introduced plenty of exciting enrichment on a daily basis and the mood of the orangutans quickly improved as well. 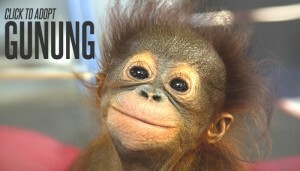 There was soon a spark and curiosity in their eyes. Once again there was hope. 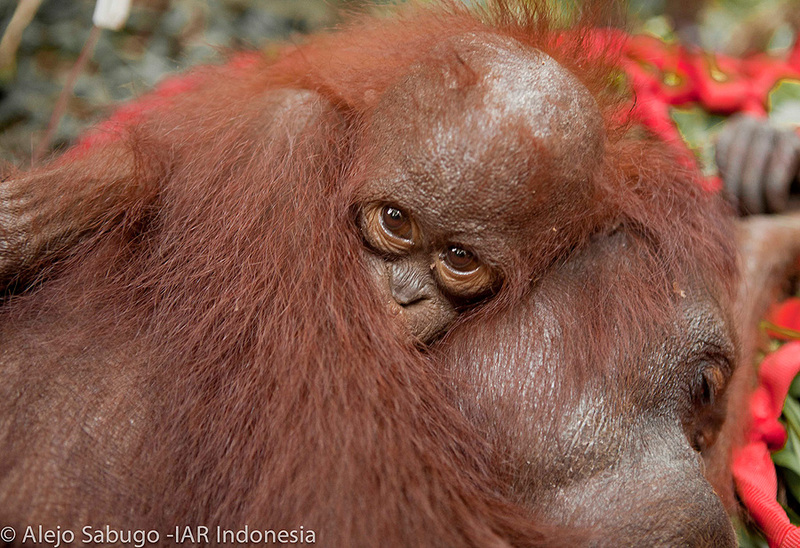 Please make a donation to IAR Ketapang today! 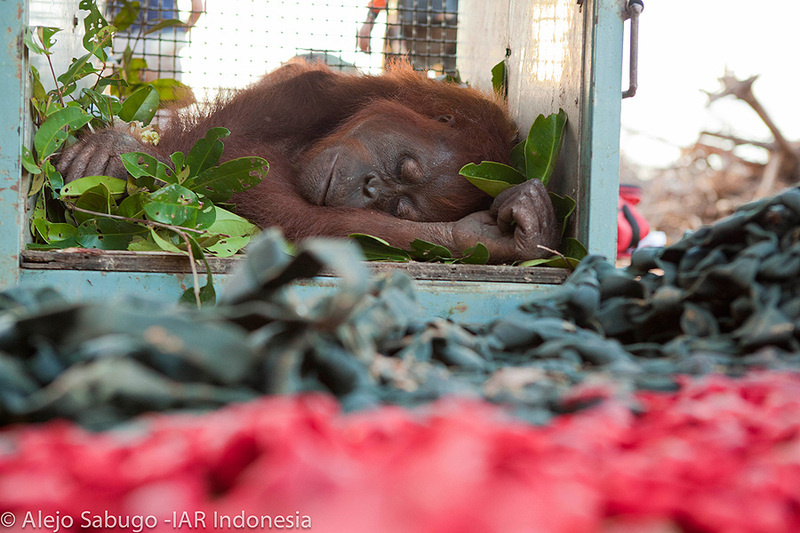 By January 2010 the Ketapang transit center was home to more than a dozen rescued orangutans ranging in ages from infants to young adults.... and many more were awaiting rescue. 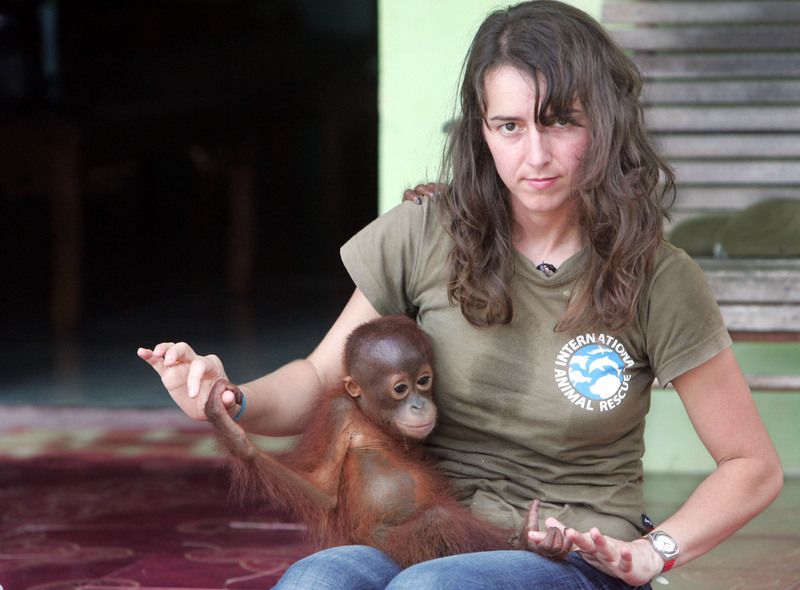 We actually had a list of orangutans being held illegally as pets in neighboring towns. 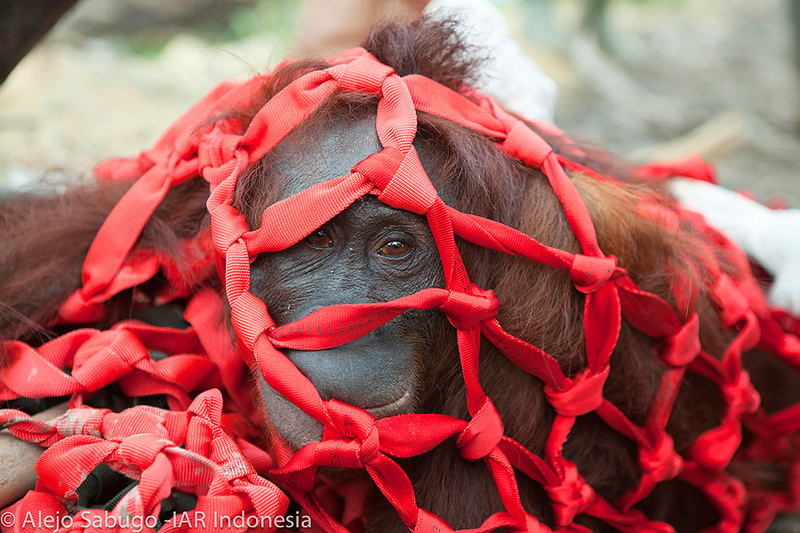 Further enclosures needed to be built, extending the facilities of this halfway home until the new rescue and rehabilitation facility could be built. An impregnable baby yard was constructed and a giant tower was built for the growing number of babies to play on. 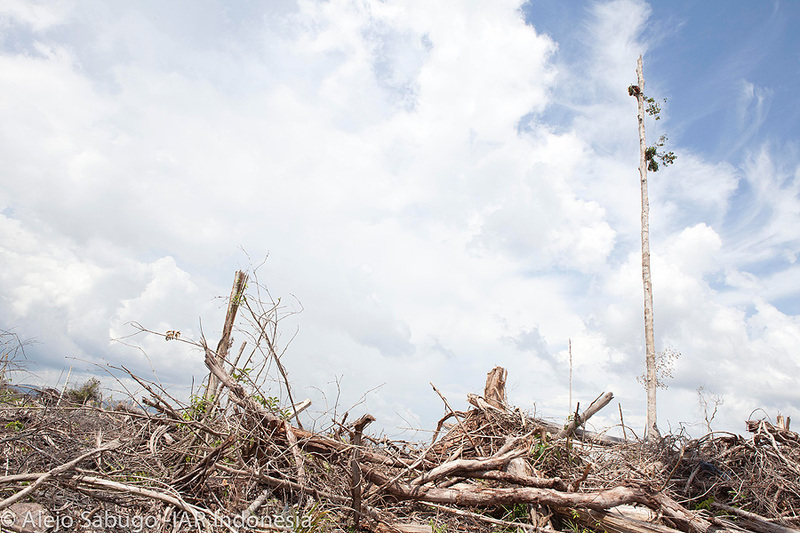 By early 2010 a suitable area of land has been identified and once it was acquired work could begin. 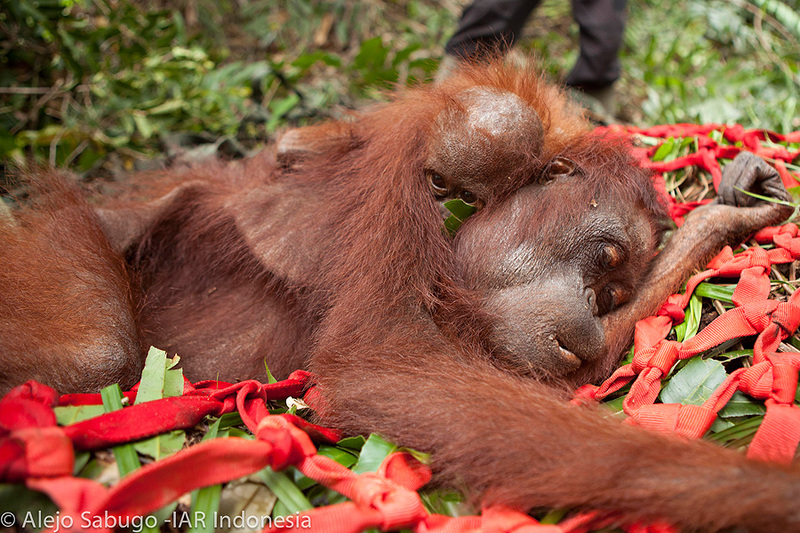 Things took a momentous turn in Spring 2011 following a tragic disaster at the fledgling, ill-fated orangutan rescue center in Sintang, also in West Kalimantan but much further to the north near the border with Malaysia. 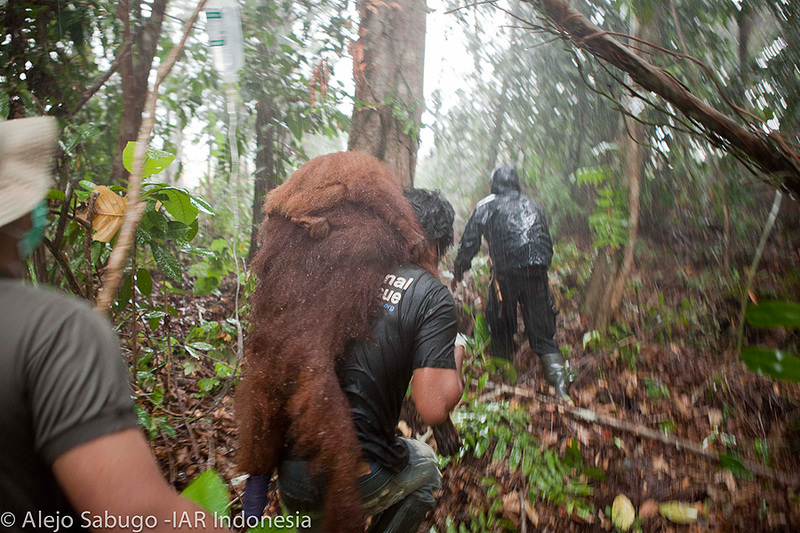 Following this "unsolved" (read: not investigated by the corrupt local management) crime, Orangutan Outreach cut all ties with the suspicious managers at Sintang and, together with our partners COP and JAAN, worked with the Indonesian Ministry of Forestry to evacuate the 11 remaining orangutans to safety at IAR Ketapang. 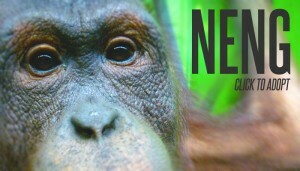 You can read the harrowing tale here. 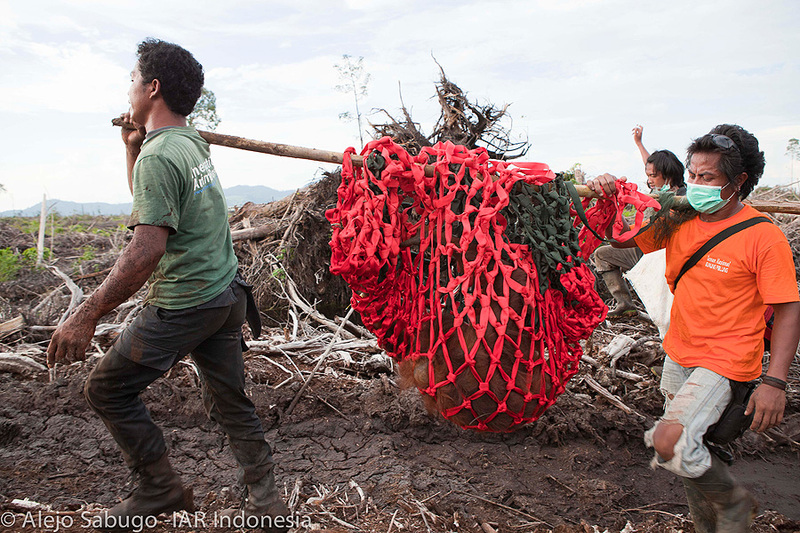 We are forever grateful for IAR's willingness to take in these 11 refugees. 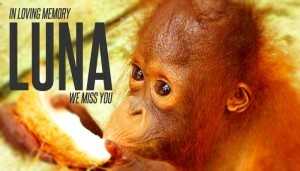 We only wish Luna could have made the journey with all her friends... To this day, we condemn the illegal and immoral activities of Willie Smits, a charlatan who pretends to be helping orangutans while in reality enriching himself and leaving them to suffer. 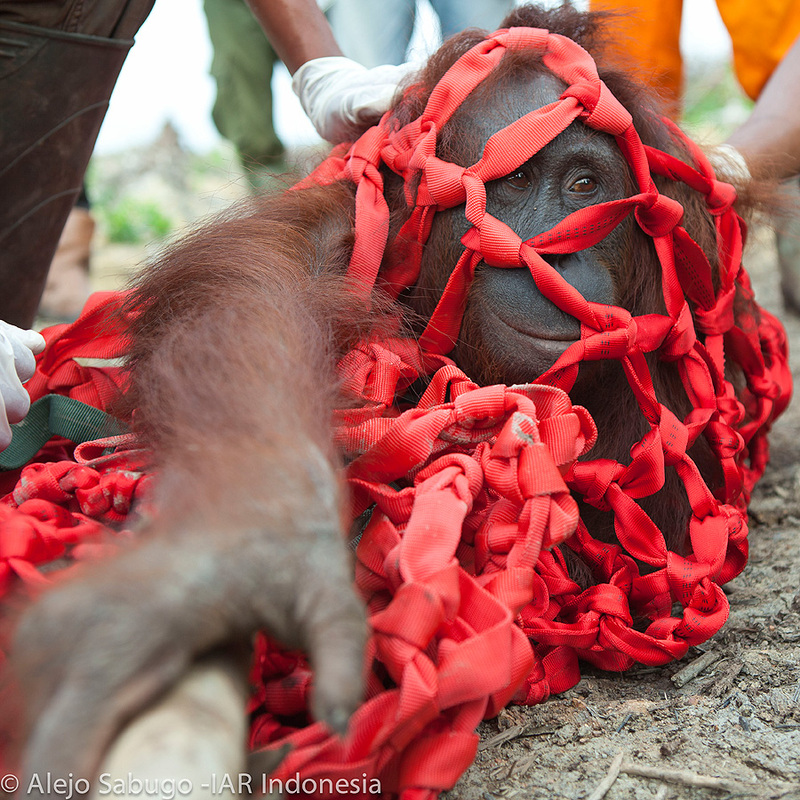 Towards the end of 2010, thanks to support from generous donors, International Animal Rescue was able to purchase 24 hectares (60 acres) of land in Ketapang not far from the transit center. 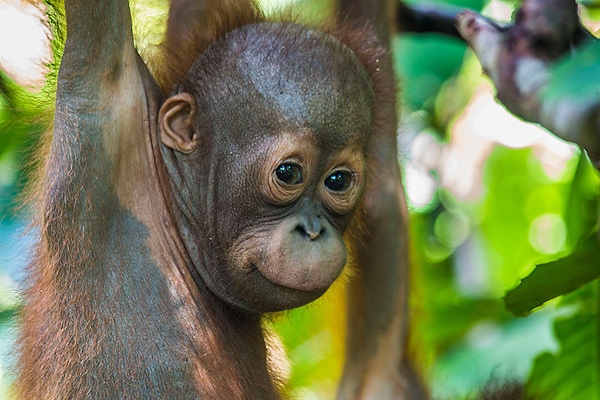 Planning permission was granted for a rehabilitation facility that would house up to 100 orangutans at a time and architect's plans were drawn up and approved. 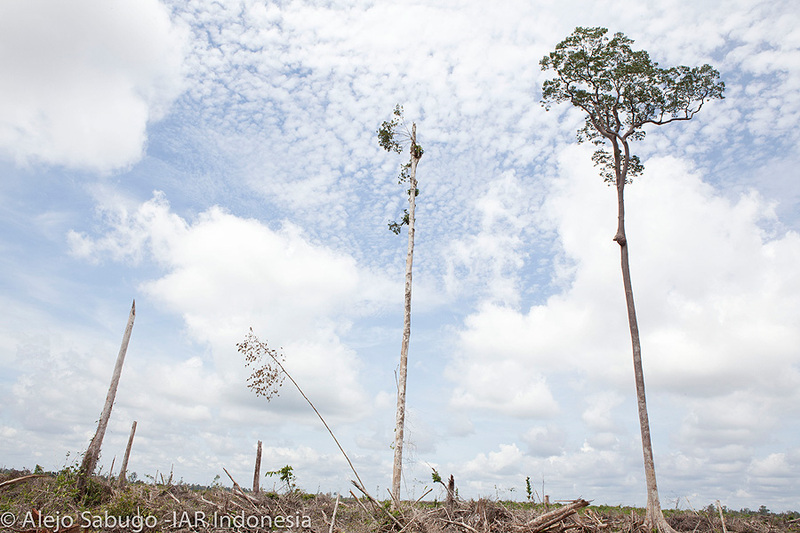 Initial construction began in 2011 and quickly gained steam in 2012. 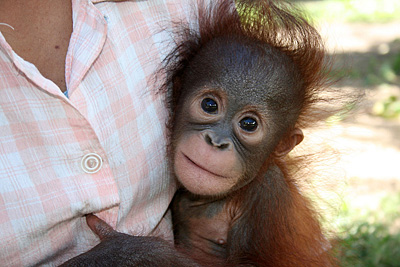 The new facility has a large quarantine areas for new arrivals and pre-release candidates; a fully-equipped veterinary clinic; an education center; indoor accommodation and an outdoor play area for babies and infants and spacious forested enclosures where rescued orangutans can develop the natural skills they will need to survive back in the wild. 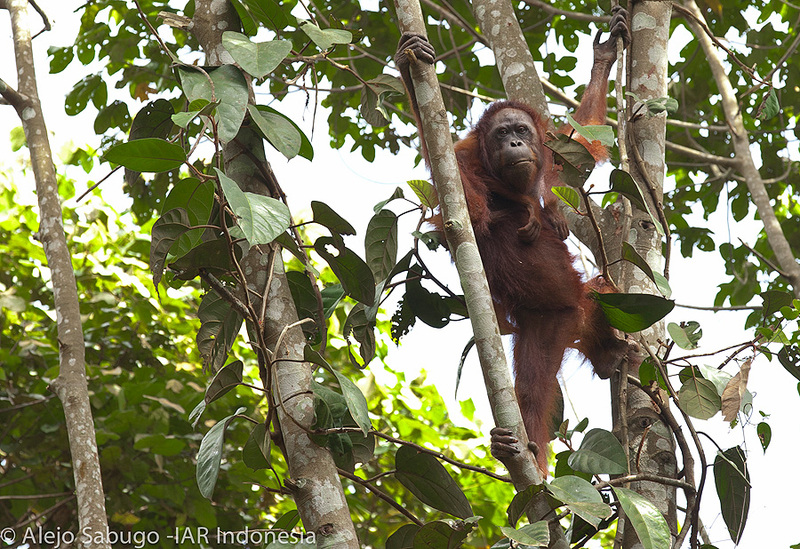 You can directly support the orangutans at IAR Ketapang by adopting them! 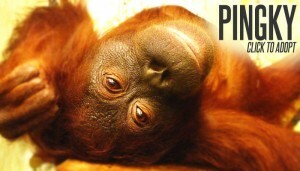 For just $10/month you can help cover the costs for their food, care and enrichment. 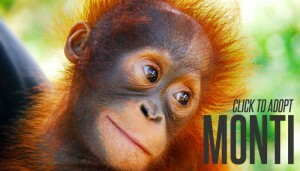 There are so many wonderful orangutans to choose from! 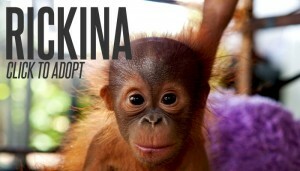 You can 'meet' them on our adoption page. Just click on the images below to learn more and choose your adoptee!